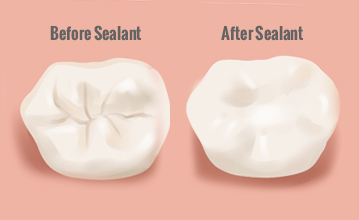 Dental sealants are a tiny thin plastic coating which is applied on the chewing surface of the teeth. Dental sealants are used in order to avoid such dental ailments as tooth decay. Dental sealants are mostly applied on the backward teeth in our mouth (premolars & molars). The flexible plastic sealants soon dissolve themselves perfectly into the grooves and depressions of the teeth, covering the tooth enamel efficiently. Although, one of the best home practices a person can do to decrease chances of tooth decay is to do regular brushing and flossing which will remove stuck food particles in the teeth. However, most of the times a generic brush could not get into all deep nooks of the teeth and because a stuck food particle remains in those nooks, the chances of decaying are raised significantly. This especially is the case with teeth that are located in the most backward region of our mouth. Therefore, dental sealants come as a useful solution to protect these vulnerabilities in the teeth. Let us know more about dental sealants in the following chapters, as advised by the renowned dentist in Los Angeles Dr. Shervin Louie. Teenagers and children are the most suitable candidates for a dental sealant treatment. This is because the chances of developing decay in the deep nooks of your teeth in the early ages is more persistent than in any other age. To protect the oral sanctity in the early days of growth ensures a prosperous dental health throughout the entire lifespan. However, this does not mean that adults cannot benefit to protect their teeth from decaying properties with the help of sealants. In some cases, dental sealants are also used on baby teeth to protect against cavity and tooth decay during the most sensitive years between 1 to 14. Sealants are applied on the molars and premolars because these teeth are a more prone plaque and tooth decaying properties. 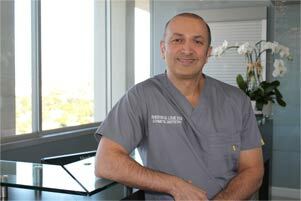 But here is an expert advice by Dr. Shervin Louie, the well-known dentist in Los Angeles, which tells us that even after applying dental sealants, especially on baby teeth, it is important to take a good care of the teeth because this is the most sensitive age for teeth and needs additional care and concentration. As the first step, the teeth which will be sealed are thoroughly cleaned. After deep cleansing, the teeth are dried with cotton or other absorbent material. Then an acid solution is applied on the surfaces of the teeth to toughen the chewing base as it will give a strong grip to the sealants. After the acid process, teeth are again thoroughly rinsed and then dried. Finally, the dental sealants are painted onto the enamel of the tooth, where it bonds itself with the tooth and hardens. In rear cases, a help from special curing light is also used to harden the sealants. How Long Dental Sealants Will Remain Effective? Dental sealants usually last up to a 10-year’s period protecting teeth from tooth decay ailment. However, to ensure that such effectiveness last that much long, occasional dental checkups of your sealant is a must thing to do. There can develop wearing out or chipping issues in the sealants as the time goes on. Professional dentists in Los Angeles can be able to procure the sealants sanctity in time before they become ineffective.